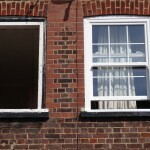 Looking for practical and pretty replacement sash, casement or vertical sliders in Wimbledon? Welcome to Merton Windows. 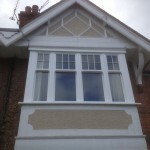 We have been supplying and installing sash windows, uPVC products, aluminium windows, timber windows, double glazing and other glazing solutions to homes and businesses in Wimbledon, SW19 and the surrounding areas for a number of years. Our products are all made to measure and bespoke for your property and always meet, or exceed, British standards. We are a family-run business and focus on customer satisfaction at every stage of buying new windows. 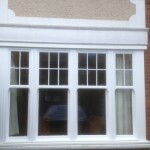 We can help you maintain the original charm and character of your home with replacement sash windows. 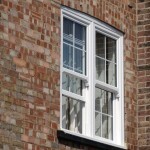 Simple in design and elegant in proportion, sash windows remain a popular choice. Our range of double glazed vertical sliders are sympathetically designed and have outstanding security, energy efficiency and noise performance qualities. Want to know more? Then call us on 0208 542 2233 or email us at [email protected] and we get straight back to you. Why choose sash double glazing for your Wimbledon home? Adds value: Our vertical sliders will add value to your property, so are a great option if you are thinking about selling your home and want to make your house as attractive as possible to potential buyers. Durable: Old sash timber frames will rot and warp over time and is susceptible to weather. Our sash frames are storm and weather proof and the damp can never penetrate the surface of these frames. You can rest assured that your new windows are built to last. Energy efficient: Double or triple glazed sashes have exceptional insulation properties. With double and triple glazing the vacuum between the panes prevents cold air from entering your property and keeps warm air trapped inside. This can be beneficial to your health if you suffer from colds or other respiratory problems. Noise resistant: The design of our sliding windows also ensures that you will have fewer problems with noise outside your home. Stylish: All our windows come in a range of colours, styles and design options and are made in timber, uPVC and aluminium. We can advise you about the best choices for your budget. Easy to use: Our sashes are all expertly designed so they are simple and pleasurable to use. 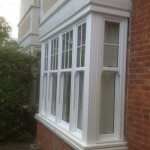 Experience: We have fitted elegant sash windows in many properties in Wimbledon, which is rich in history and all our windows are sympathetic to the period style and architecture. If you are thinking about new windows, casement windows are always a popular choice. They are hinged at the side and open outwards or to the left or the right. We install many different designs and patterns of casement window, with high performance glazing, in a wide range of colours. 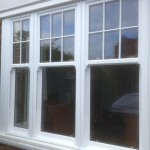 State-of-the art technology ensures that our windows will never warp or twist and will require very little maintenance.